Our Catholic Ethos and Mission Statement underpin every aspect of the holistic development of the children within our school. 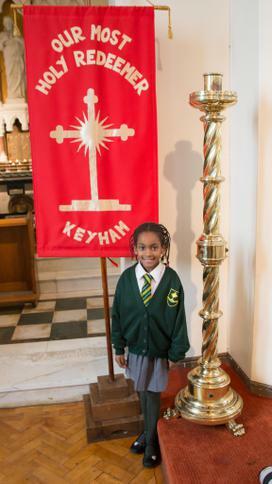 Our RE curriculum along with regular acts of worship and the celebration of Mass explore and nurture the children’s relationship with God and their journey in faith, thus supporting the children’s learning throughout the curriculum. This is achieved by supporting the children’s emotional, moral, personal and spiritual development as a whole and allowing them to grow in confidence as people in themselves, in the relationship they have with others and foremost, in their relationship with Christ. Parents and the wider community are invited to attend and celebrate alongside us. Our Parish Priest, Fr Petroc Cobb, joined us in September 2018. and is already an integral part of the children’s on-going Catholic education. Over the year Fr. Petroc's weekly visits cater for the celebration of Mass, the administration of the sacraments, curriculum support, and the pastoral care of pupils, parents and staff. We celebrate the start of the week with a Liturgy based on the Sunday Gospel. From this we identify a theme and a value to unpick with the children throughout the week. The theme is explored in greater depth during key stage assemblies and in class. 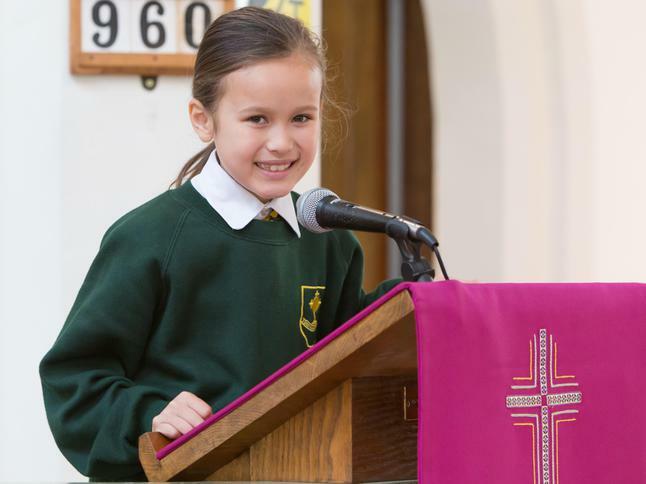 Children are encouraged to look out for others who put the Gospel message into practice and individuals are recognised in our weekly celebration assembly a Friday: they are rewarded for the service given to our school family and present as a role model to others. Opportunities present themselves within acts of worship for children and adults to better understand their relationship with God and at which stage they are at in their own journey in faith. Personal, Social, Moral and Emotional aspects of learning are often developed here and the children are given a chance to reflect on things that affect their relationships with themselves, others and Christ. Our RE Provision is supported by the scheme of work God Matters. This scheme follows the liturgical year. 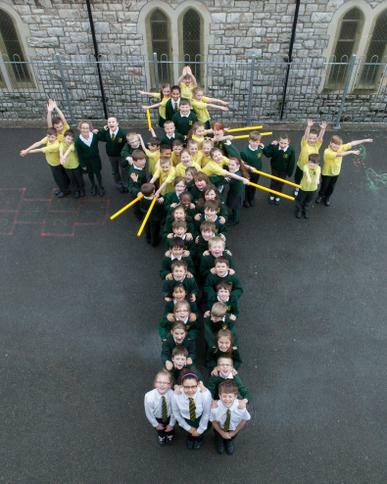 Charities, mainly CAFOD, are supported and awareness is raised through fundraising events throughout the school year. Our journey with Christ begins at different points along the road and we recognise that the faith and understanding of the children within our care may be beyond that which they can articulate. We recognise, as a school, that through striving to live the Gospel Values as carers and educators, we can create an atmosphere of nurture that impacts on all areas of our children’s school life.